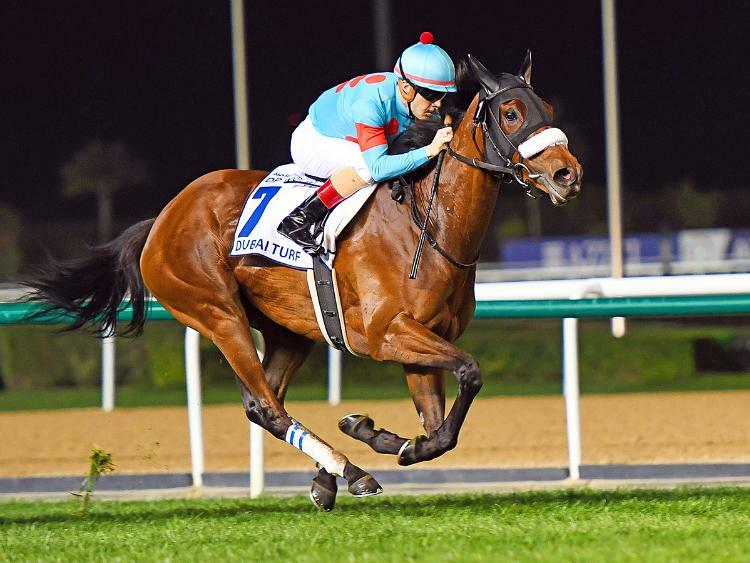 3+ hours of the entire televised 2019 DUBAI WORLD CUP FESTIVAL run at the crown jewel Meydan Racecourse - a visual marvel with the purse for the Dubai World Cup being a staggering $12 million!! 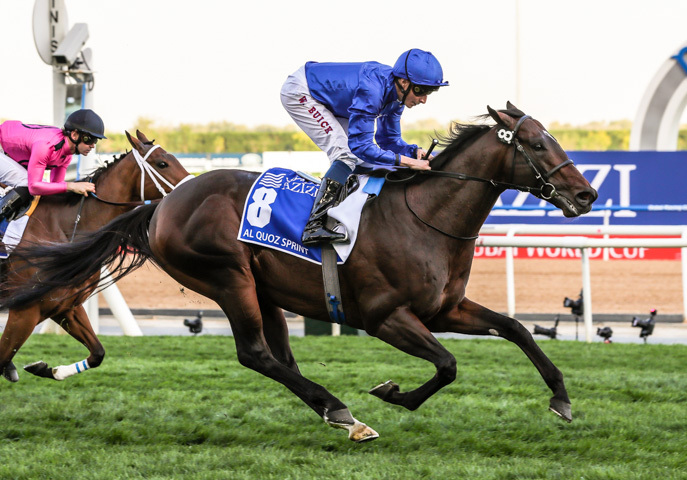 All eight (8) stakes races are shown - the world's biggest day of racing...with more prize money given away than any other day!! 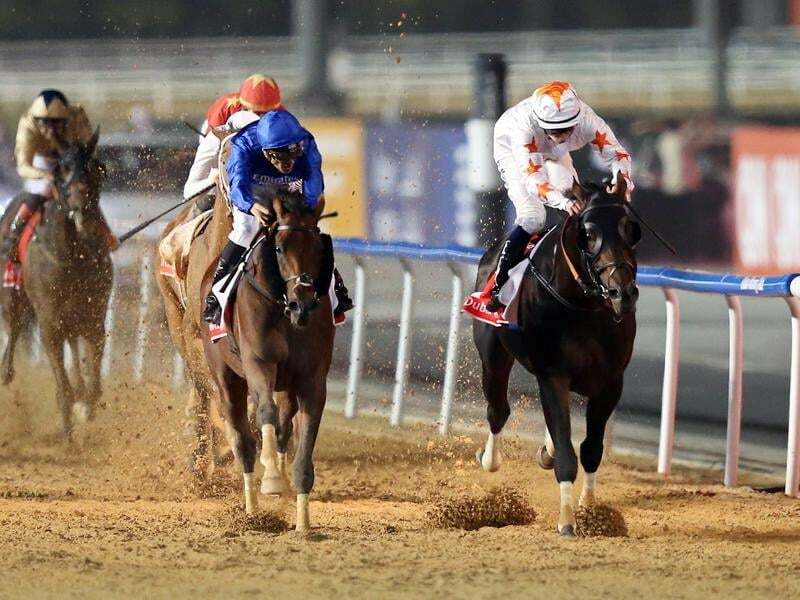 Experience all the pre and post-race footage of international racings marquee event!! 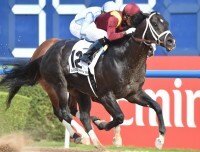 All Eight (8) races are shown in their ENTIRE TELEVISED BROADCASTS from Racing Channel TVG. 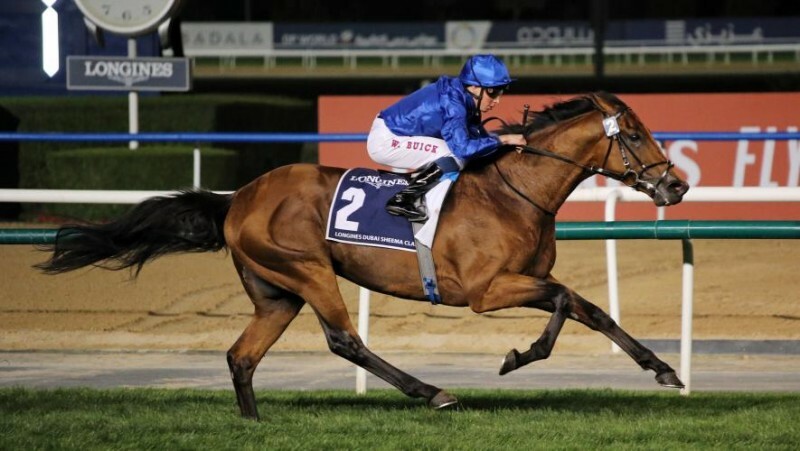 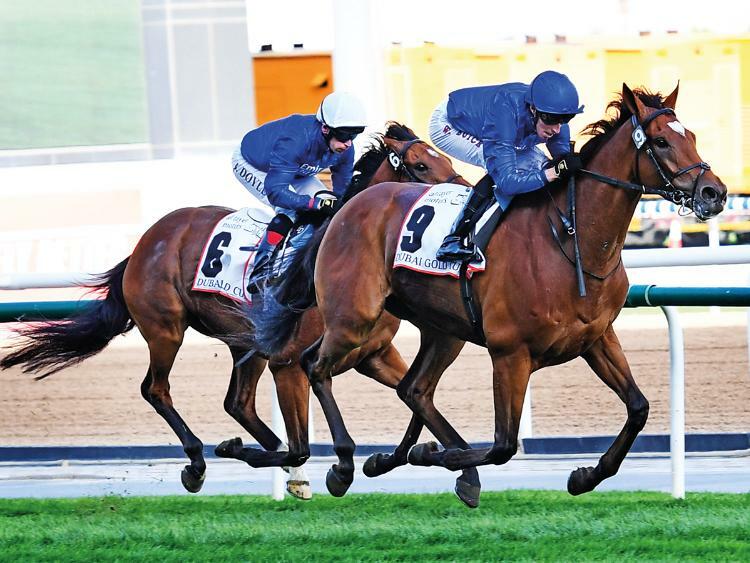 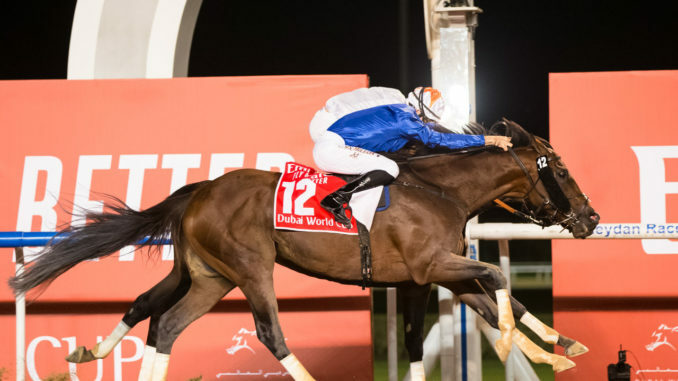 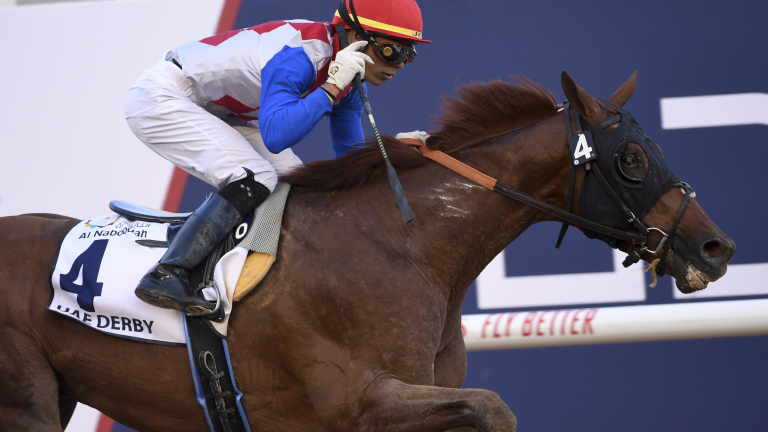 Horses from all over the world converged at Meydan but after the dust settled...all eyes were AGAIN on THUNDER SNOW who powered through the stretch while racing outside a determined GRONKOWSKI having just enough to prevail in a thrilling edition of the 2019 Dubai World Cup - becoming the first horse in the 24-year history of the 2,000-meter (about 1 1/4-mile) race to win it twice in addition to winning the 2017 UAE Derby. 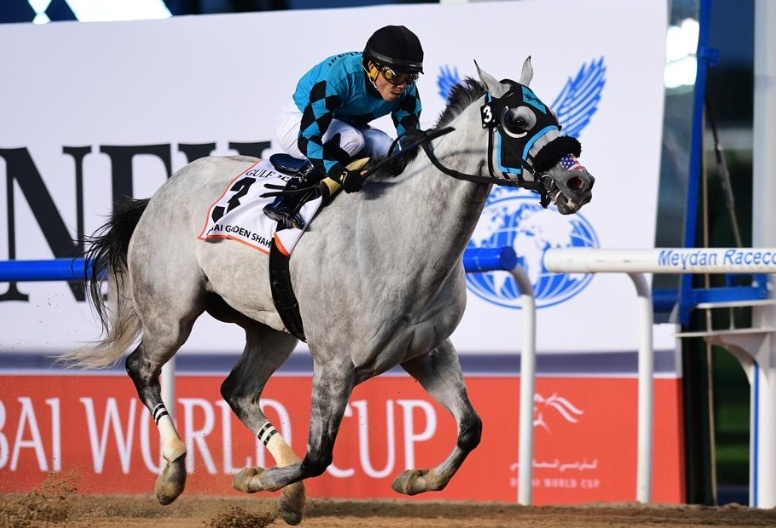 Other horses who showed up for international racings big day included ALMOND EYE - Japan's horse extraordinaire, BLUE POINT, PLUS QUE PARFAIT, CROSS COUNTER, COAL FRONT, X Y JET, OLD PERSIAN, MAJOR PARTNERSHIP, NONKONO YUME, TRUE TIMBER, KIMBEAR, HEAVY METAL, MUNTAZAH, IBN MALIK, AFRICAN RIDE, LOGRADO, GOOD CURRY, MUSAWAAT, SECRET AMBITION, MARINARESCO, CALL THE WIND, RED GALILEO, PLATINUM WARRIOR, PRINCE OF ARRAN, ISPOLINI, SHARPALO, TEAM TALK, GOLD MOUNT, STORMY LIBERAL, SANDS OF MALI, LOST TREASURE, MAZZINI, THE RIGHT MAN, BRAVE SMASH, BELVOIR BAY, CARIBOU CLUB, EKHTIYAAR, ILLUSTRIOUS LAD, VIDDORA, WHSHFUL THINKER, WALKING THUNDER, JAHBATH, GOLDEN JAGUAR, DERMA LOUVRE, DIVINE IMAGE, SUPERIOR, GRAY MAGISICN, RAZEENA, AL HAYETTE, VAN BEETHOVEN, STUBBINS, SWIFT ROSE, MANGUZI, ROY H, IMPERIAL HINT, PROMISES FULFILLED, DRAFTED, SWITZERLAND, NINE BELOW ZERO, TATO KEY, MATERA SKY, FIGHT HERO, SOUTHERN LEGEND, DREAM CASTLE, DEIRDRE, VIVLOS, MAJESTIC MAMBO, LORD GLITTERS, I CAN FLY, MOUNTAIN HUNTER, YULONG PRINCE, CENTURY DREAM, WITHOUT PAROLE, WOOTTON, CHEVAL GRAND, MAGIC WAND, RACING HISTORY, HUNTING HORN, REY DE ORO, SUAVE RICHARD, DESERT ENCOUNTER, GUNNEVERA, CAPEZZANO, NORTH AMERICA, AUDIBLE, SEEKING THE SOUL, PAVEL, GRONKOWSKI, AXELROD, NEW TRAILS, YOSHIDA, K T BRAVE and DOLKONG. 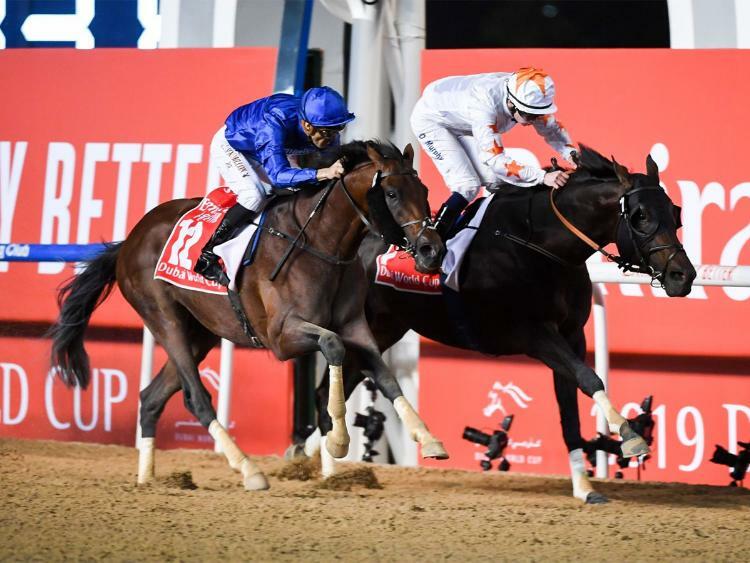 FOR A DETAILED CHRONOLOGICAL LIST OF ALL THE RACES INCLUDING NAMES OF HORSES IN EACH FIELD SHOWN IN THIS FEATURE, JUST REQUEST A COPY AND A COMPILATION SHEET WITH THE 1,2,3 FINISHERS WILL BE E-MAILED TO YOU.